Prior posts showed that our oneness with Christ and oneness in Christ distinguish us from the nations around New Jerusalem (Rev. 21:24). One verse about this is Colossians 3:10-11 which says that in the new man “there cannot be Greek and Jew, circumcision and uncircumcision, barbarian, Scythian, slave, free man, but Christ is all and in all.” Assuredly, in New Jerusalem Christ will be everything. First Corinthians 1:30 declares that it is of God that we are in Christ Jesus. This is our position, which is unchangeable. But, is our daily living always, sometimes, or rarely in Christ Jesus? To what extent can we honestly say “for me to live is Christ” (Phil. 1:21)? 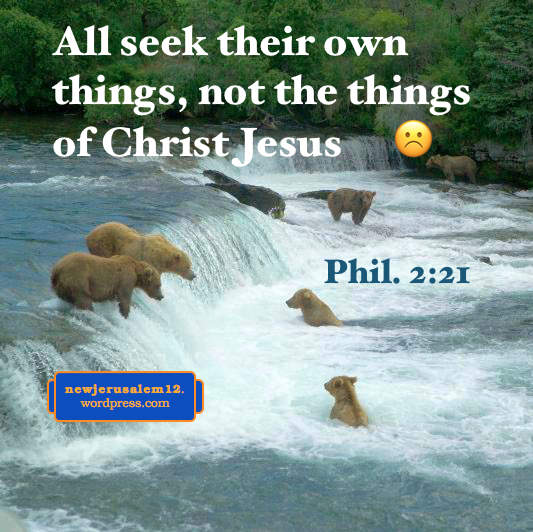 If our daily living is according to our upbringing, or is unconscious habit, or is governed by our culture, or is because “everyone does it this way,” then we are not living Christ. Those ways of living might not be bad, but the source is the old creation rather than Christ in us. Or, we might try to explain our living by “that’s the way I am” or “I was born that way.” Again, these ways might not be bad, but they are not Christ and hence cannot correspond with New Jerusalem. Our need is expressed in Colossians 3:10. 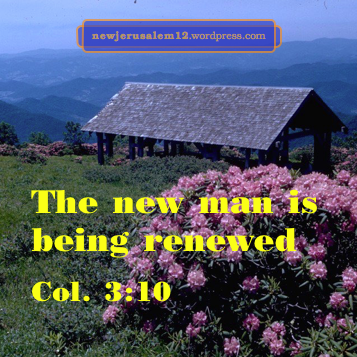 It says we “have put on the new man” and now the new man “is being renewed unto full knowledge according to the image of Him who created him.” Lord, we open to be renewed to match Your image. Renew us into the reality of the new man in our daily living. Conform us to New Jerusalem. 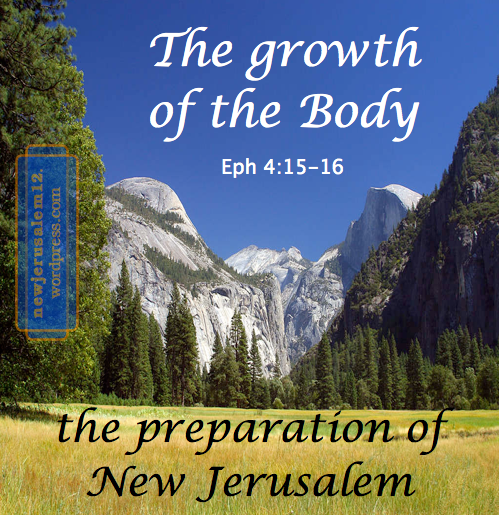 We should all desire to be “carried away in spirit onto a great and high mountain” to see New Jerusalem (Rev. 21:9-10). The seeing requires us to be “in spirit” and to have completed a spiritual journey (described in prior posts) to a high mountain. According to John 3:3 and 3:5, when we see, we enter. Both depend on our new birth. The extent of our seeing and entering New Jerusalem matches the extent to which we let the new birth operate in us. This is like a human—birth brings the baby into humanity but the baby requires many years of development to fully see and enter into human life. John 3:5: Jesus answered, Truly, truly, I say to you, Unless one is born of water and the Spirit, he cannot enter into the kingdom of God. In John 3:5 being born anew has two aspects: water and Spirit. Being born of water is the termination of our old life. How much will we cooperate with the Spirit to apply this termination to our old habits, our old amusements, our old attitudes, and our old goals? This is the denial of our self spoken by the Lord in the gospels (e.g. Matt. 16:24) by cooperating with the indwelling Spirit (Rom. 8:13). Being born of the Spirit is the enlivening of our human spirit and the joining of the Spirit with our spirit. How much will we live and walk according to this spirit? This is not separate from the first aspect of being born anew. 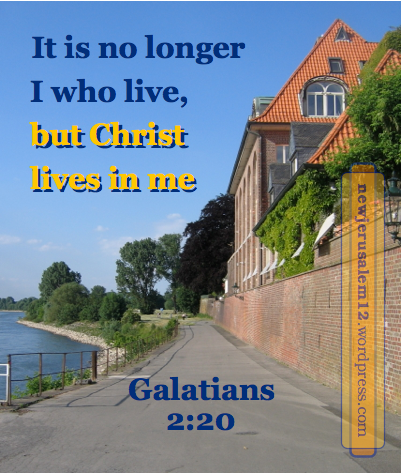 In Galatians 2:20 “it is no longer I who live”—the first aspect, “but it is Christ who lives in me”—the second aspect. 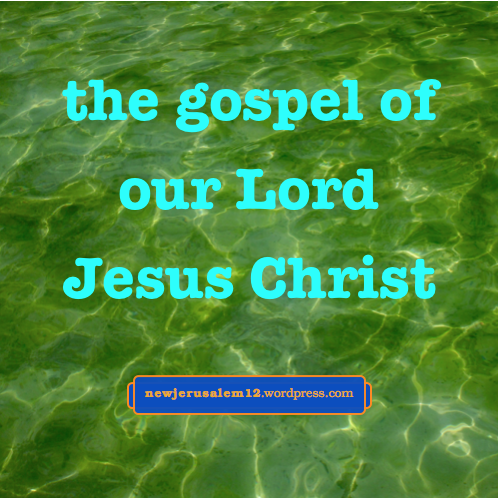 The more Christ lives in us the more we see and enter New Jerusalem. Christ living in us is a matter of faith. Galatians 2:20 continues to say “I live in faith, the faith of the Son of God.” Lord, fill me with Yourself as my faith so that You may live through me. 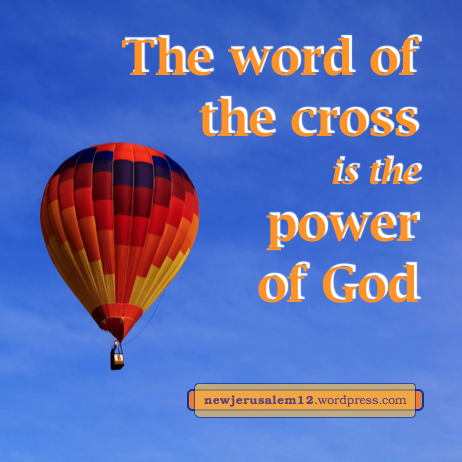 Lord, bring me more into New Jerusalem. We are all one in Christ Jesus, in the Body of Christ, and in the new man. This oneness will continue into New Jerusalem. In Christ there is oneness without any national, cultural, ethnic, or social distinctions. God created man on the sixth day and said “very good” (Genesis 1:26, 31). 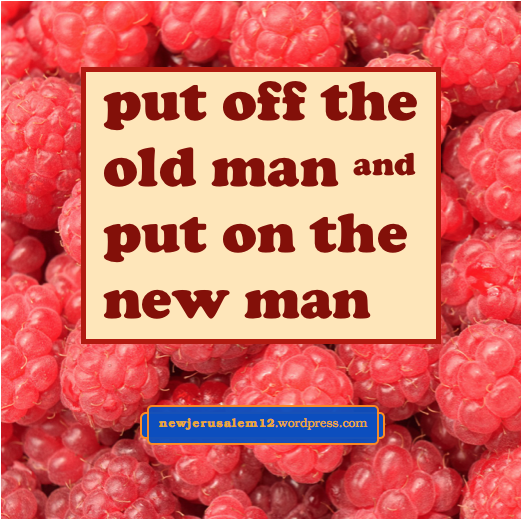 Soon afterwards man sinned and became the old man, old meaning separated from God. In Christ we are saved from the old man. In Christ we are in the new man. Through His death on the cross Jesus Christ terminated all the partitions between different peoples and created one new man. He has slain all the enmity and has reconciled us in one body to God (Ephesians 2:14-16). In these verses out of signifies that the believers are no longer in their nations or tribes or peoples. 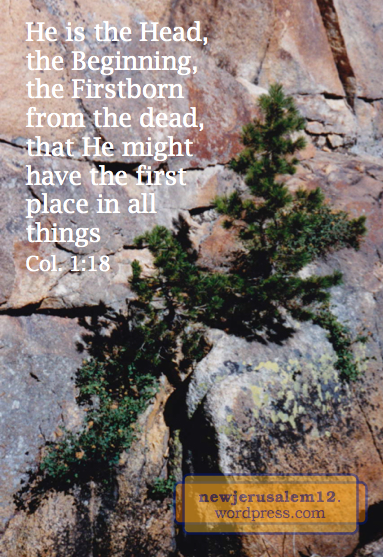 Rather, we are all in Christ and in the new man, having been purchased by the Lamb out of the old man. In the reality of baptism, we not only put off the old man; we also put on the new man (Colossians 3:10). Now we can experience the inward renewing to live in the reality of the new man. This living is a foretaste of a living that will be much sweeter and more joyous in New Jerusalem. 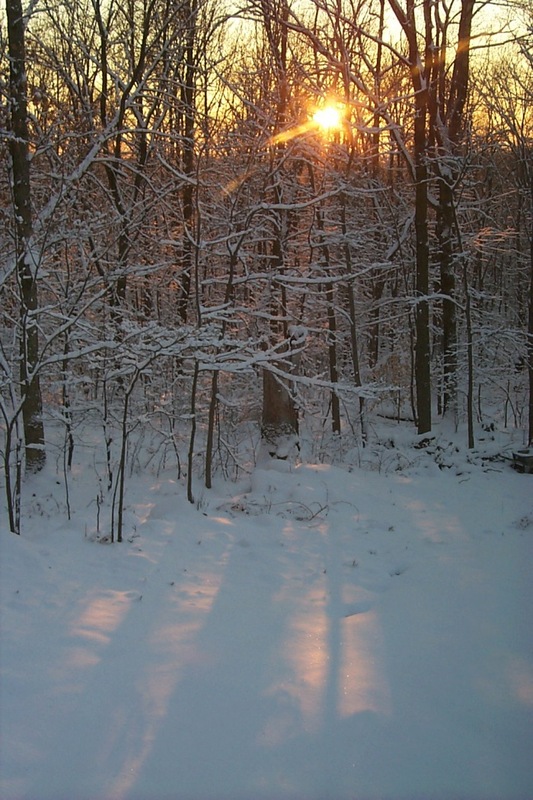 Photo by Janet Ward, NOAA HPCC, courtesy of NOAA (U.S. Dept. of Commerce).